In honor of Wonder Woman’s 75 birthday, the United Nations has named Wonder Woman as UN honorary Ambassador for the Empowerment of Women and Girls. 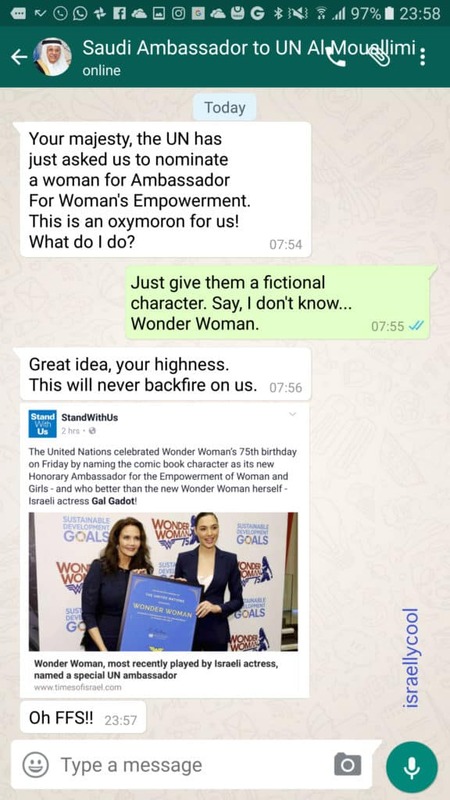 Israeli actress Gal Gadot was there to accept Wonder Woman’s new appointment. Many are out there wondering how it could be that such an important role can be given to a fictional character, rather than the many actual living women who could have easily fit the role of inspiring empowerment in women and girls. We at IsraellyLeaks (a division of Israellycool) have obtained an exclusive leaked conversation that explains everything. I'm a Canadian Israeli, Aliyah Class of '10. 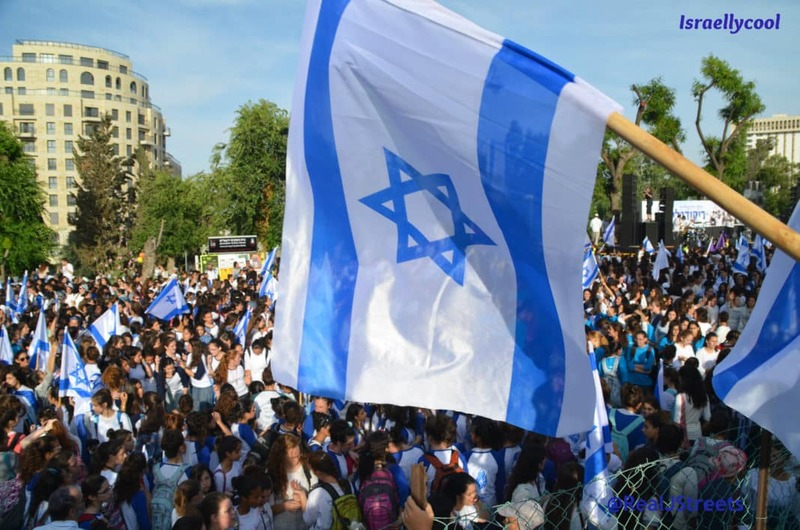 You may know me as tweeter @notantisemitic but here I'll tickle your Zionist bone in other ways.